I wore this outfit to lunch and a mani-pedi with my friends for my birthday. It was the perfect day! 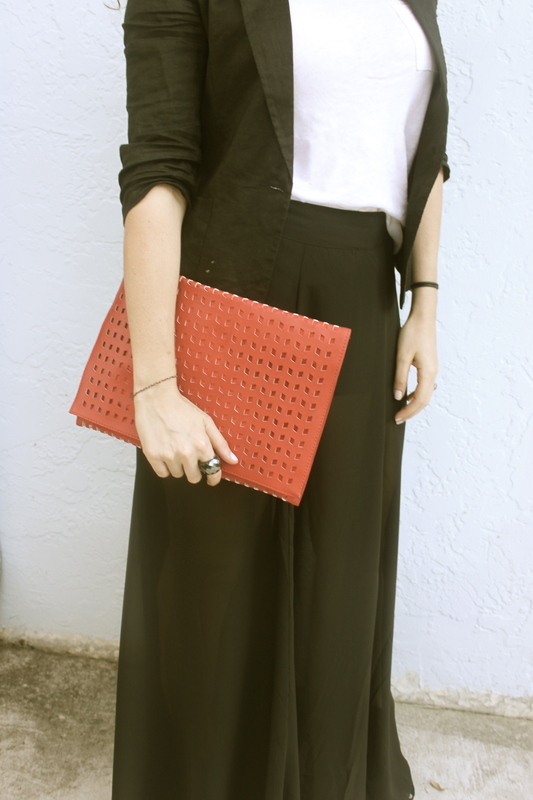 I love how the maxi skirt is light and an A-line cut to flatter my figure. It’s sheer so it adds just a hint of sexiness without being vulgar. I paired it with a light blazer, simple white tee, fedora and red clutch for that pop of color.